Pappayude Swantham Appoos, a malayalam movie released in 1992 and directed by Fazil is considered to be a ever green hit which explores the relationship between a father and his son. The acting brilliance and extra natural chemistry of Mammootty and Master Badusha as father and son took the movie to heights which made it run for more than 165 days in a single theatre. Young Badusha had won the 1992 Kerala State Film Award for Best child artist for his performance. After 2 decades, Badusha is gearing up to make a comeback with 'Grand Finale', the directorial debut of Sojan Jose. Badusha who had made his second outing with 'Ennum Oormakkayi', the movie couldn't pick up well at box office. Jubil Rajan P. Dev, son of Rajan P. Dev is also playing an important role in this movie. 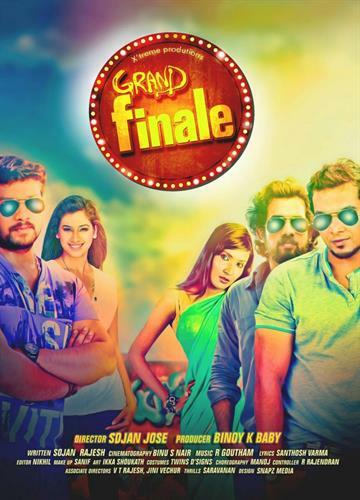 'Grand Finale' tells the tale of 2 friends and the changes in their life after the entry of a cute girl. The other cast in the movie are yet to finalize. Even though Baadusha made his acting debut with Saandram followed by Vyooham, Fasil's Pappayude Swantham Appoos was the best in his career which gave him fame and applause. Baadusha would be looking forward to climb up the ladder to find a place among the leading young actors in the malayalam film industry. Jubil, the son of later Rajan P Dev who is donning the other lead role has already acted in a couple of movies including Yakshiyum Njaanum and Arabiponnu. The arrival of young talented actors is a good sign for the growth of the industry. The movie is being produced by Binoy K Baby under the banner X'treme productions. For the lyrics of Santhosh Varma, R Gautham will set the songs. The cinematography will be safe in the hands of Binu S Nair. The first look posters designed by Snapz Media have already hit the social media sites.